2.0 cu. ft. bag of composted cotton burrs. 2.0 cu. 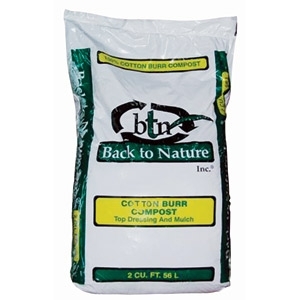 ft. bag of composted cotton burrs and sulfur. 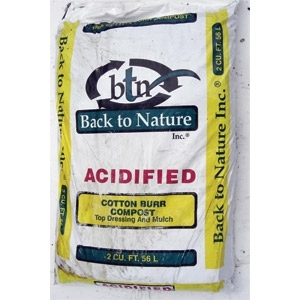 Great for acid loving plants. 1.0 cu. 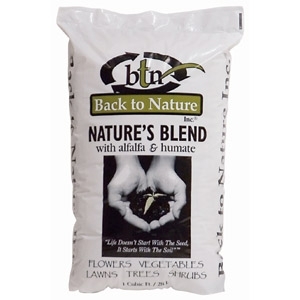 ft. bag of composted cotton burrs, cattle manure, alfalfa and humates. Great mulch and amendment or top dressing. 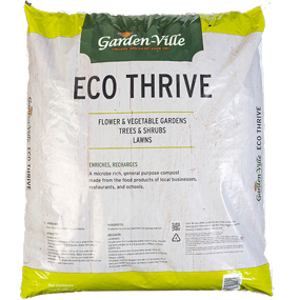 A nutrient-rich, general purpose compost made from food waste that has been sourced from local schools, restaurants, and other businesses. 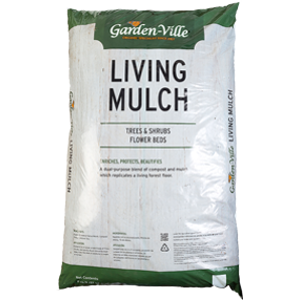 A dual-purpose blend, offering the benefits of mulch and compost. 2 cubic foot bag.